I don’t know about you but it seems like the book publishing world changes every 5 minutes. Instead of subscribing to a million book publishing newsletters I get my news from trusted podcast. I listen while I am writing or working on the websites. The Sell More Books Show is a weekly podcast focusing on helping new and experienced authors stay up-to-date with the latest self-publishing and indie news, tools and book selling/marketing strategies. I had the pleasure of cohosting once. You can listen here. Jim Kukral and Bryan Cohen bring you all the latest in what is happening in the book marketing world. Be sure to subscribe to them on iTunes to get the latest episodes. Dave’s podcast is where he shares the best tips and ideas. He also introduce you to some of the best book marketing and promotional minds in our industry as they provide a case study to each episode’s lesson. 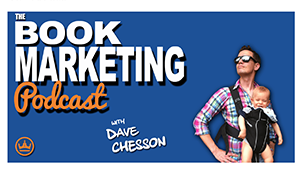 I suggest you start at the 1st book marketing podcast and binge listen. I share my own lessons from the writing journey. I have made so many mistakes, I want to try and save you time, money and heartache along the way. Audios will be posted at least every two weeks and will cover Interviews, Inspiration and Information on Writing and Publishing. I love listening to Joanna and how she always ask the guest the questions I am thinking of. Mark Dawson is an award-nominated, multiple USA Today bestseller, with more than 20 books and over 2 million copies downloaded worldwide in multiple languages. James Blatch isn’t – but he’s doing his best to learn how. I prefer to watch the youtube version but if I am in the car I listen as a podcast.